Entire plate has over four inches; the rose colored glasses have been removed and the grade has been reduced to four. We skated most of it and it was ok, sailing was fine. The wind held nicely until dusk. There is some slushy bits and some shell ice near the pit area, but nothing to worry about in the main body. The parking area is not plowed, but we drove it right down flat today so access is pretty good. Wind forecast isn’t great for tomorrow, but Sunday looks better. If the snow misses us Monday, Wednesday promises great wind. 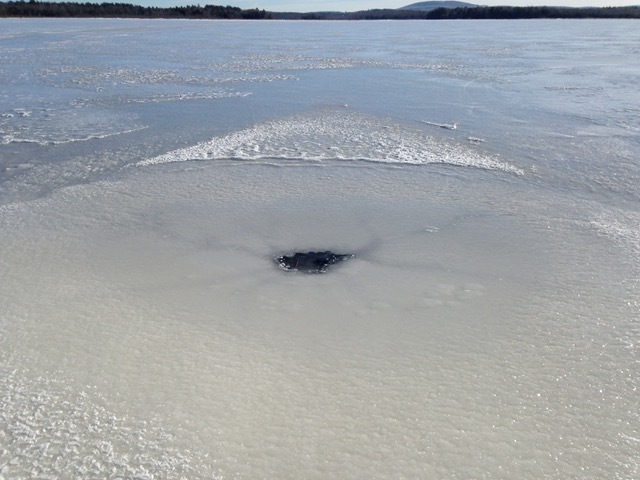 But we might find some black ice by then. Jim got to shake down his new Whizz for the first time with full sail and had her wound up beautiful. 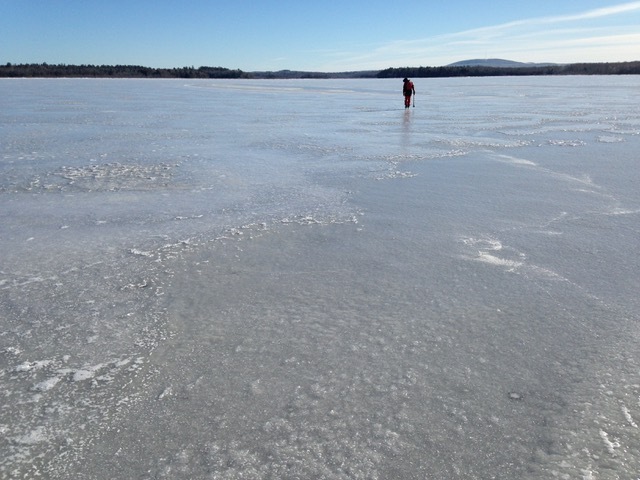 We poked around the marshes at the south end on some remarkably poor ice, just maintaining steerage way. 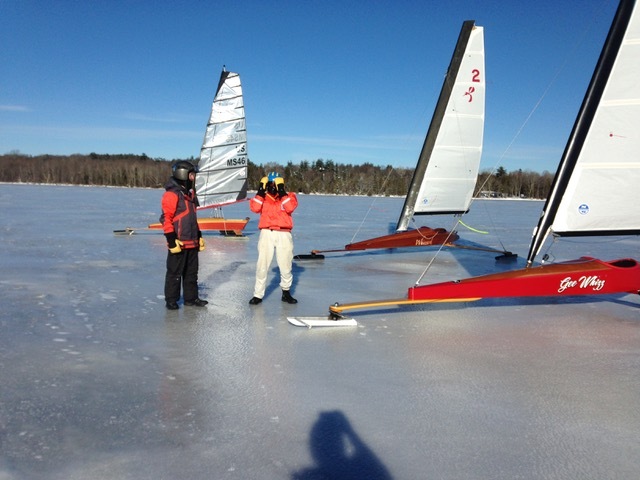 You CAN have fun in an iceboat at walking speeds! This entry was posted in 2018 Season. Bookmark the permalink. Enter your email in the box below and Click Ice Email button to receive notifications of available ice events and topics.